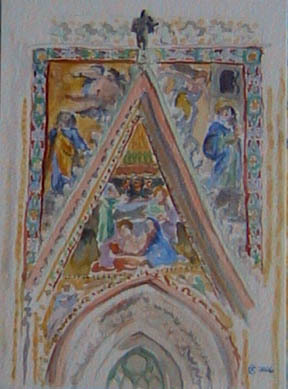 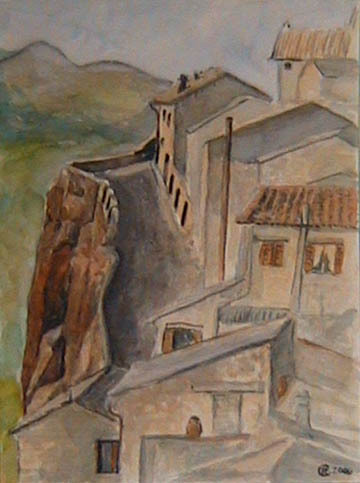 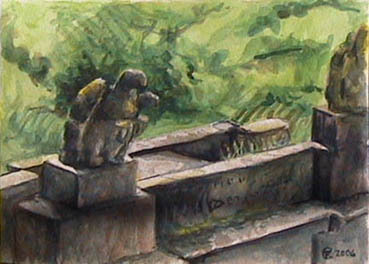 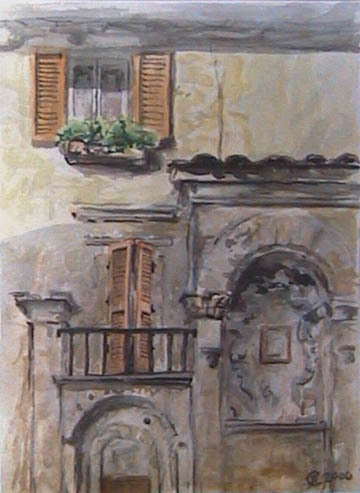 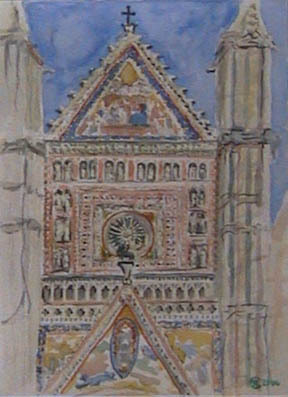 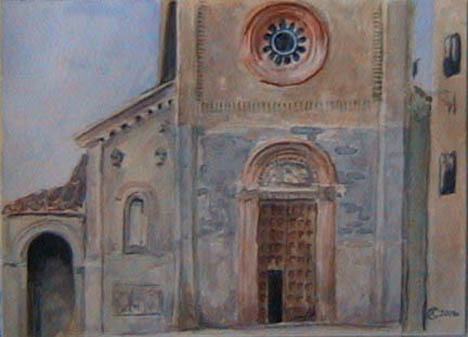 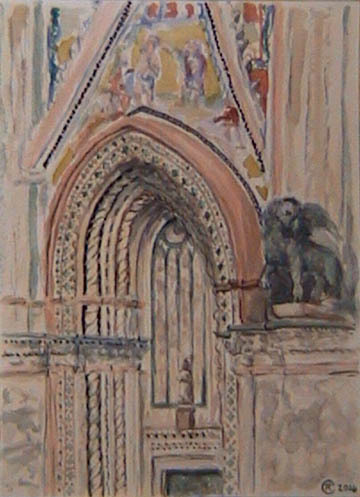 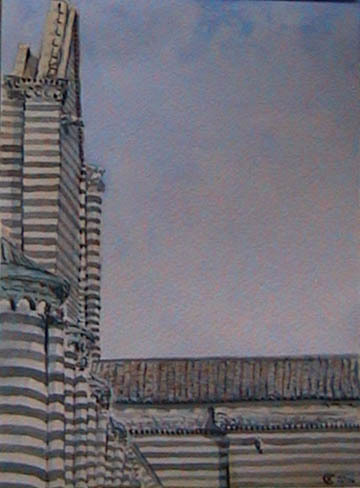 These small (4 3/8" x 6") watercolors were completed in October and November of 2006 while Tyrus was teaching American college students studying art in Orvieto, Italy. 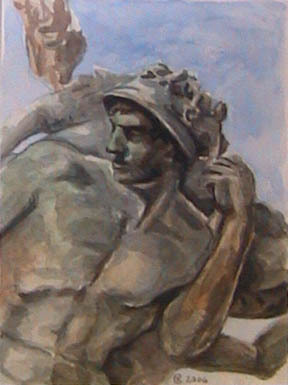 He produced about one painting per day. 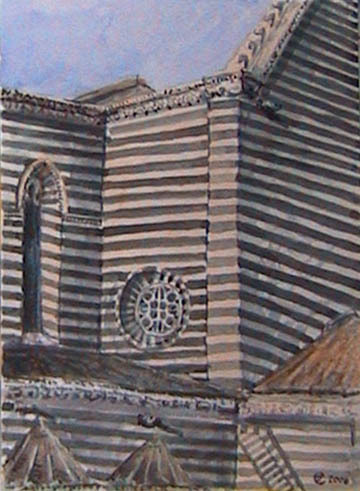 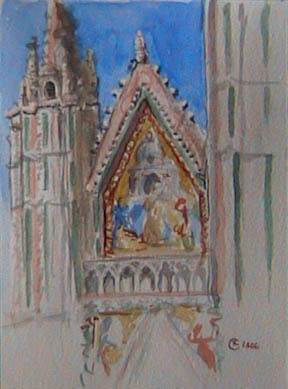 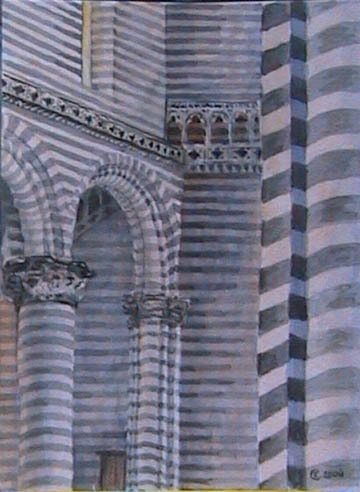 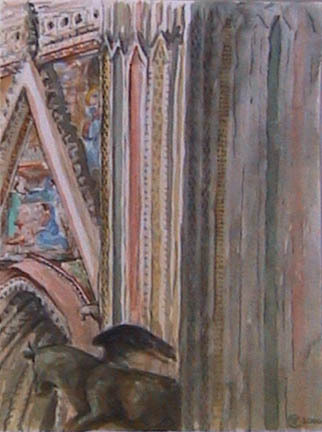 The small studies of places in Orvieto (the striped building is Orvieto's famous cathedral) were sent back to friends and family, so this online venue is the only place they can be seen together.